We can now state the true definition of a laptop as opposed to a tablet. It's anything you like. Forget size and weight, forget whether it's got a keyboard or a mouse, it's a laptop if that's the word which will sell more devices. 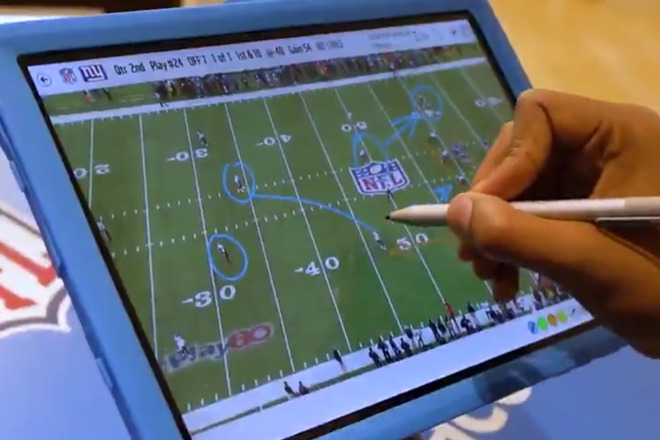 Hence the fact that Microsoft Surface is the official tablet of the NFL, and the official laptop of the NFL's Super Bowl LIII simultaneously. Take a look at the ad, and see if you can spot the actual laptops in amongst the tablets. And then, take a look at who will be watching this ad during the Super Bowl and see if you can spot any of them who will care. We didn't actually have desktops either, not at first. At first we had computers. They were big, they were on the top of your desk, but they weren't called desktops until the minute we had laptops. Then companies needed a way to distinguish between the types of machines and that's fine, but the industry called these newer computers laptops as more advertising hype. You could put them on your lap but they might crush your legs. It was like the way that the Osborne portable had been advertised as a computer you could carry like a suitcase. Those were pre-Photoshop days, though, so you could see the strain on the faces of models demonstrating the Osborne, and you couldn't miss their white knuckles. The name didn't really matter when we had desktops and laptops but it did when we finally got portable computers that were genuinely portable. Manufacturers didn't want to taint them with the word laptop because they were now so much better than all that had gone before. So they called them notebooks. The word didn't catch on. To everybody outside the salesroom, they were laptops and to this day, if anyone uses the word notebook then they are probably trying to get you to buy one. Then the words subnotebook and netbook came next and didn't stick at all. More recently we've had ultrabooks and the definition of those is that they are not MacBook Airs. If you saw, say, the Mac Portable, the PowerBook 170, the PowerBook Duo 204, the 2018 MacBook Air and —let's just throw this in —the 12.9-inch iPad Pro, you'd know the differences. More than knowing which was a laptop, which a notebook and so on, you'd appreciate the benefits and the limitations of each form factor. No average consumer will and no average consumer should have to. If you're being shown any kind of computer, the question has to be about what it can do for you, not what label you put on it. And that's where we've got to with Microsoft —but also with Apple. Apple got mocked a little for its What is a Computer? ad but it had a point. The ad was all about what you can do on this device and if Microsoft is mixing up its devices in this Super Bowl ad, it's only doing so for the same reason. All that matters to us is what you can do with the device. All that matters to Microsoft and Apple is that you do whatever it is on their machines. You can go too far, though. Microsoft does have a second definition of when it calls something a laptop, and that's whenever calling it this means it wins in a comparison. 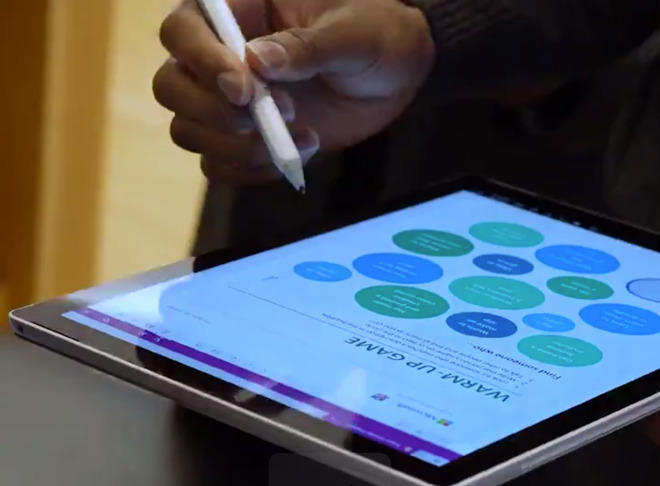 That's a Surface tablet against a MacBook. The laptop is primarily being criticized for not being a tablet and there's no question, that is quite correct. It's also just wrong. You could swap out the MacBook in this ad for any laptop computer and the claims would be as valid, the song just might not scan so well. During the Super Bowl when Microsoft says that tablets are laptops, they're not right, but they're not really wrong either. If you're watching with friends and they look interested, make sure you tell them the difference. Not the difference between a tablet and a laptop, but between Windows and macOS. It's the software that counts, not just the hardware it comes in.